Upon long and careful research, we decided to only feed our dogs a raw diet. There have been many controversies over the years about the negative aspects of raw which most have been myths. Since feeding BARF, their coats have been magnificent, their teeth are white and they appear to be more alert as their attentiveness increased, their muscle tone is better, their eyes are brighter, and their stools are firmer. You have a healthier companion with little to no health issues. Not to mention the risk you take with kibble always being recalled. Dr Lew Olson who is a long time Breeder of Rottweilers , she is also an AKC Judge. Lew has her Masters degree in Social Work and her PhD in Natural Nutrition. She writes a monthly canine nutrition column for the B-Naturals website, she has been published in the New Zealand Gazette, the Mein Hund (Swiss), the Rottweiler Quarterly and other breed magazines. We also use products from B-Naturals with our BARF diet and she is always there to answer any questions you may have regarding nutrition and supplements in a timely manner. She played a huge part in our transition from kibble to raw by my being able to understand it with her informative book written so even a newbie in raw feeding can comprehend. The link to visit B-Naturals website is noted above. Now you have the knowledge and answers to why you should feed raw, I will share with you the wonderful site that allows you to purchase high quality raw food for your pet. They are a family owned business and always there to answer any questions and help any way they can with your pets diet. It’s a comforting feeling knowing there will always be someone there to help you provide a well balanced diet. Tracy would love to hear from you and help you! Please tell them SILVER CITY ROTTWEILERS sent you! A HEALTHY all natural made in the USA treat is the only way to go. 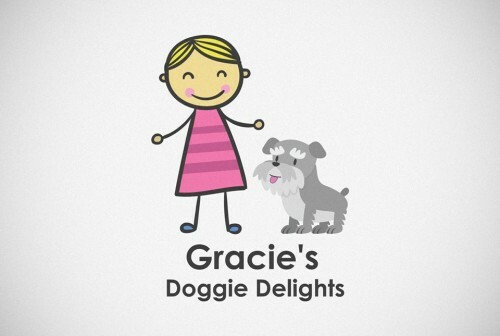 Let’s support this wonderful little Entrepreneur get her name spread far and wide. It’s a win/win when you see the joy it brings to your pets!